The upcoming 2012-2013 season at Merrimack Repertory Theater will feature seven works of contemporary theater, all staged in MRT's newly-renovated home, Liberty Hall. 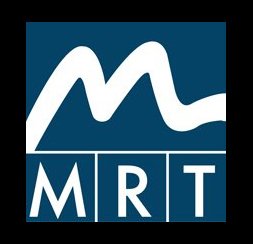 The company also has a new website, MRT.org. Of the MRT's refreshed home, MRT Artistic Director Charles Towers commented, "It's not just beautiful; the renovation has completely transformed the MRT experience. Since we are already over 50% subscribed, I urge people to buy their tickets as soon as possible and be a member of the terrific MRT audience." The surprise arrival of two young lovers needing assistance disrupts a predictable day in the life of a comfortably married, middle-aged couple. This unexpected meeting changes their lives in the delicious new comedy, "Homestead Crossing," produced in partnership with Berkshire Theatre Group and Portland Stage Company. The last-minute stress of completing a college admission essay forces a mother and her adopted daughter to confront long-hidden family secrets. A moving, often funny, play about the complexity of family in today's world. "Half 'n Half 'n Half"
A farcical, behind-the-scenes look at life in a repertory theater. When the personal conflicts of a long-suffering couple, their adult daughter, and a young newcomer start to effect their performances, the audience is front row to the company's theatrics. Shakespeare's wife, Anne Hathaway, raised their children alone while he pursued fame. Discover why she was notoriously willed the bard's "second best bed." Starring Seana McKenna, leading actress of the Stratford Shakespeare Festival. When a lucrative commission challenges abstract painter Mark Rothko's aesthetic, he and his young assistant must work feverishly to blend art and commerce. A fiery and fiercely funny Tony Award winner for Best Play. Catherine must establish the authorship of a mathematical proof found in the office of her brilliant but troubled father. The return of her estranged sister and a burgeoning romance with her father's former student complicate her pursuit for truth in this compelling Tony Award-winning mystery. In this great American comedy, salesmen in a cutthroat Chicago real estate office are pitted against each other in a brutal zero-sum battle for the best leads. With jobs on the line, each man must decide how far to go to make a sale. MRT & UMass Lowell present the World Premiere staged reading of Jack Kerouac's "Beat Generation" as part of the Jack Kerouac Literary Festival. at The Hanover Theatre for the Performing Arts in Worcester. MRT's 2012-2013 Season is sponsored by LowellBank. MRT is funded in part by the Massachusetts Cultural Council, a state agency. For tickets and information, stop by the box office at 50 E. Merrimack Street in Lowell, call 978-654-4678, or visit MRT.org.